Looks like Sunday is going to rule a whole whole lot. We’ll hit chuch and then the motorcycle show at Drifters that we talked about earlier and then heading on over to Glenn Danzig’s to catch another sick show with our Austin brothers, A Giant Dog. They rolled through town last Summer and killed it [You probably remember it better than we do since we were out of town… Whoops] They’ve got a couple singles under their belts now and a new EP, Trashcan USA, that just came out a little over a month ago. Don’t worry if you’ve snoozed on them, because you can listen to all of them over at their bandcamp page. For real though, when was the last time you were so stoked for a Sunday? 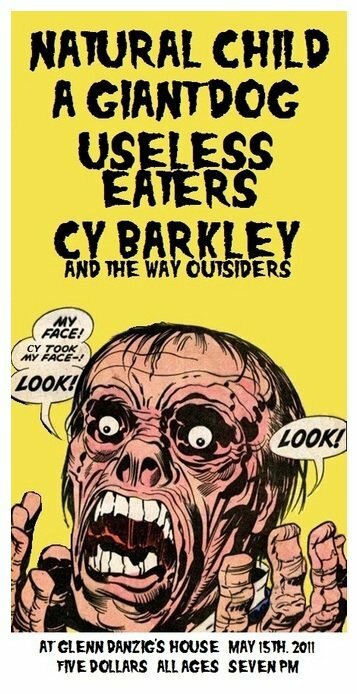 They’ll be playing alongside everyones favorite Natural Children, Useless Eaters, and the man-myth-legend-Cy Barkley. See you there!